This is Sam, just one of the blind horses at the sanctuary. Villa Chardonnay Equine and Animal Sanctuary specializes in caring for elderly and special needs animals including over 120 horses, donkeys, goats, dogs and cats. After 7 years in their previous location their lease expired. They had already planned a move to a new larger property in just a few weeks, but were unable to get an extension at their previous home. This has created an urgent situation for hundreds of animals and the clock is ticking. The cost of moving hundreds of animals in just a few days was over $35,000, the sanctuary could not absorb the additional cost without diverting funds from the pending escrow closing of the new property. Currently they are out of escrow, even though the property is still available to them. See the dramatic video of the evacuation below! They were able to evacuate and move to a nearby property which they are able to stay for only 2 months. This means by mid December the Villa Chardonnay Equine and Animal Sanctuary, established in 2003, must have a new long term home. The property must be able to hold over 100 horses and have space for smaller animals as well. These two babies are the offspring of two triple crown winners! Nitro Active on the left is the great grandson of Secretariat, Duchess on the right is the foal of Seattle Slew. 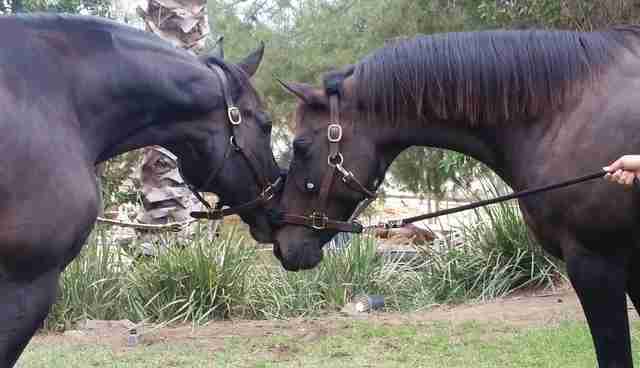 Both have a forever home at Villa Chardonnay after career ending injuries halted their racing careers. Over 15 horses at the sanctuary suffer from Cushing's disease and require daily medication. Others are blind, have cancer, neurological disorders, epilepsy and many are elderly and deserve to retire with dignity instead of being sent to the slaughter. We have been approved for a loan of over $1,000,000, up to 70% of the appraised value of a property and can utilize a loan as long as the property appraises. Our monthly expenses are between $35,000 and $40,000 strictly for the care of the animals; feeding, medical care, farrier, medications. A Property as stated above - Perhaps there is an animal loving kind soul out there who has a property that might work. We can offer tax benefits and a warmth in your heart that you can never replace! Villa Chardonnay is a 501C3 nonprofit organization since 2009 and all donations are tax deductible. 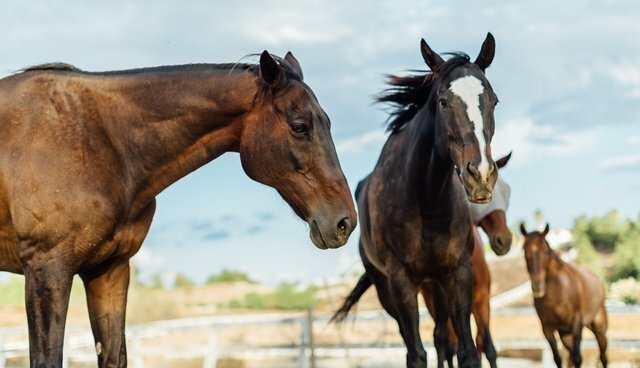 Thank you for your time and reading about our plight, please help today for the sake of all the animals at Villa Chardonnay, the largest Equine & Animal Sanctuary in Southern California. Please call direct with any questions: 951-526-5710. THANK YOU!